Here I am with another one of my movie posters! This this its a crossover between Xenosaga & James Bond. 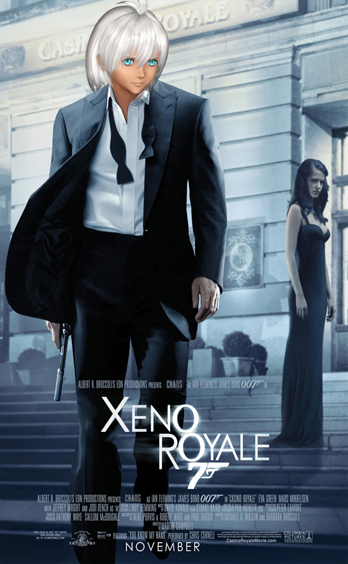 Xeno Royale! The best action movie ever made! Tons of action, lots of chaos. Coming November XXXX!! Haha, take it easy. Don’t stress yourself to hard. Wow, that was made of fail and aids.